Take your social media activity from ad-hoc to considered strategy with our hands-on Boot Camp! The challenge: decide which social media platforms you should be on, learn how to make it happen, develop a social media strategy, decide what to say and measure its value to the business. Recognise this? It’s what we’ve devised this course to address. And we’ve called it a Boot Camp because you’ll get stuck in exploring social accounts and campaign planning on the day so you’ll leave with the tools, knowledge and a head start on making it happen back at the office. Anyone wanting guidance in devising a social media marketing strategy and support in making it happen, or simply to take existing campaigns to the next level. The course has been developed with the needs of publishers and similar organisations (anyone working with specialist content and limited resources) in mind. Measuring the value of social media campaigns. This course is only available as a tailored in-company option. We’ll build the course around your real accounts and projects to make the learning as applicable as it’s possible to be. If you think you might benefit, why not contact us today? 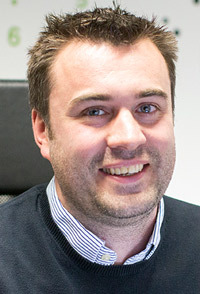 Paul Crabtree is Director of Velo, a London-based digital marketing communications agency with publishing clients including Wiley, The Stage and OUP. Paul previously held digital roles in publishing (Informa) and for agencies serving publishers (Adestra, Ceros, VIP4). He is also co-tutor (with Rachel Maund) on Mastering SEO for Marketing (also available in-company only). Really great, very easy to ask questions and flexible in responding to our abilities and jobs.